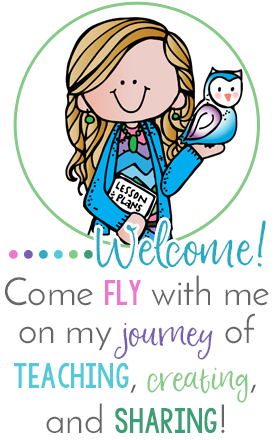 Nonfiction Reading and Writing Ideas, Freebies, and a Giveaway! Hello! I hope you are either on Winter Break or getting ready to go on break! Today is Day 2 of my break! I wanted to share two things from Comprehension Connection. 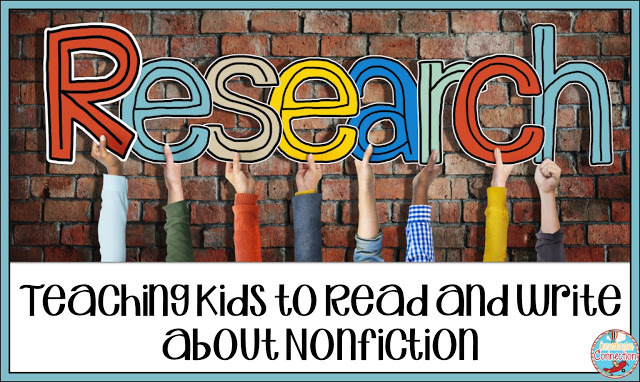 Carla has some great ideas for teaching nonfiction reading and writing. Click on the picture below to see the post. Carla is also having a giveaway to celebrate her birthday! 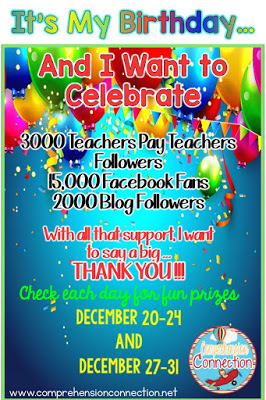 Be sure to enter the giveaway and grab the freebies she's been highlighting each day since the 20th too! Her giveaway ends on December 31st! Click on the picture below to see her post and enter!